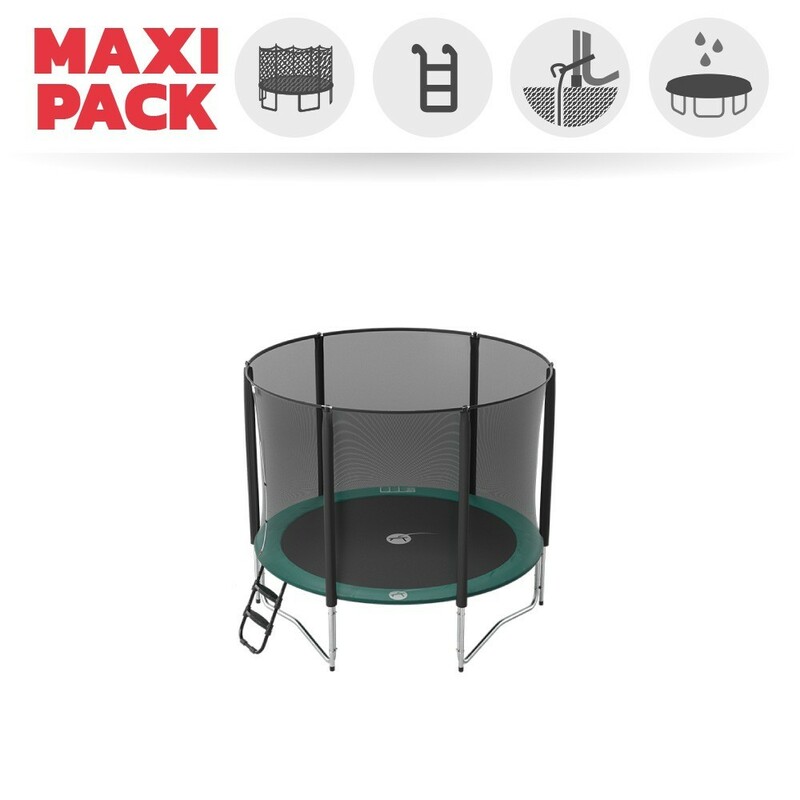 This Maxi pack including the Jump’Up 250 trampoline, its enclosure, ladder, anchor kit and basic cover has everything you need to start trampolining safely with the whole family. 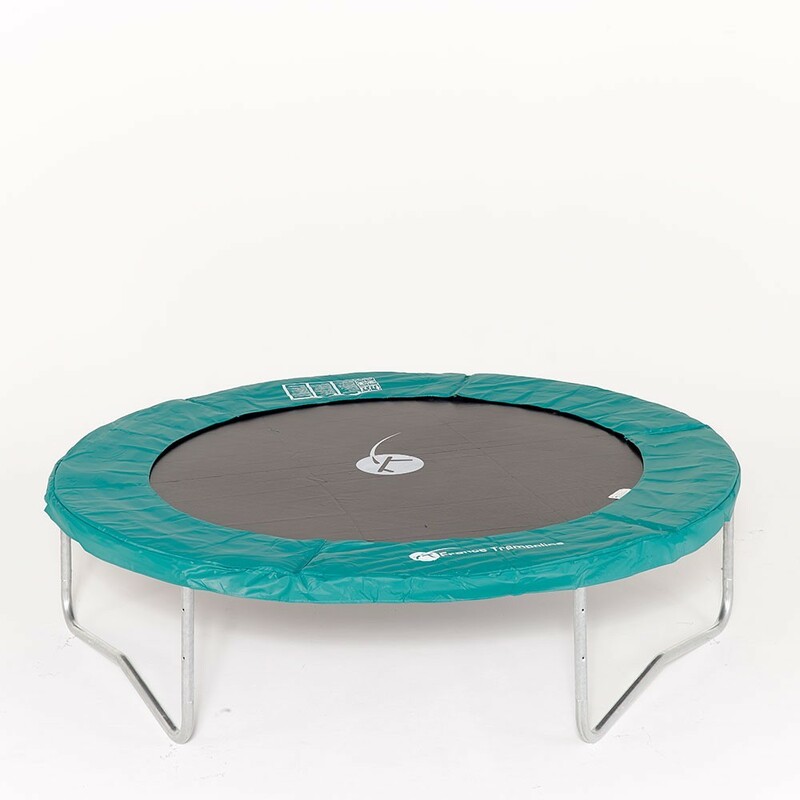 - The 8ft / 2.44 m Jump’Up 250 trampoline will allow your children to progressively gain confidence and learn new jumps. 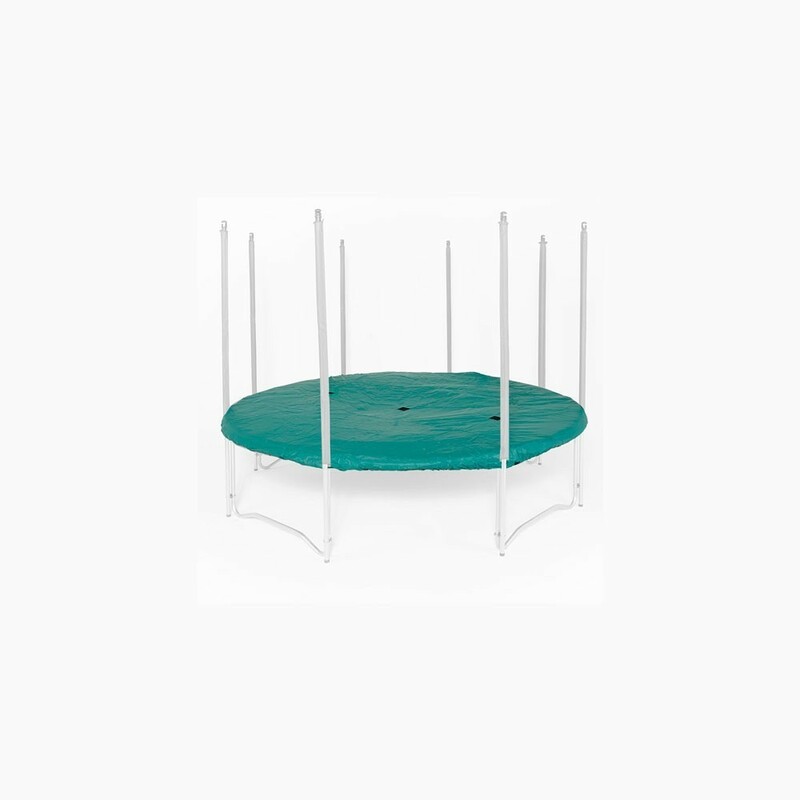 It is provided with a galvanised steel frame that is rust resistant. 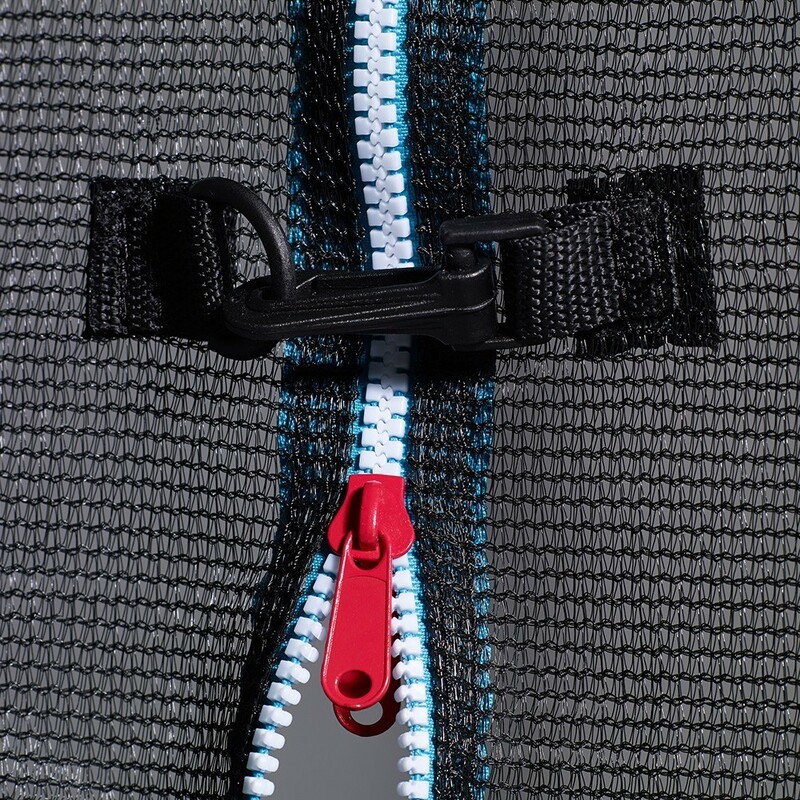 - The jumping mat is strengthened around the spring attachments with 8 rows of stitching and a reinforcement strap. 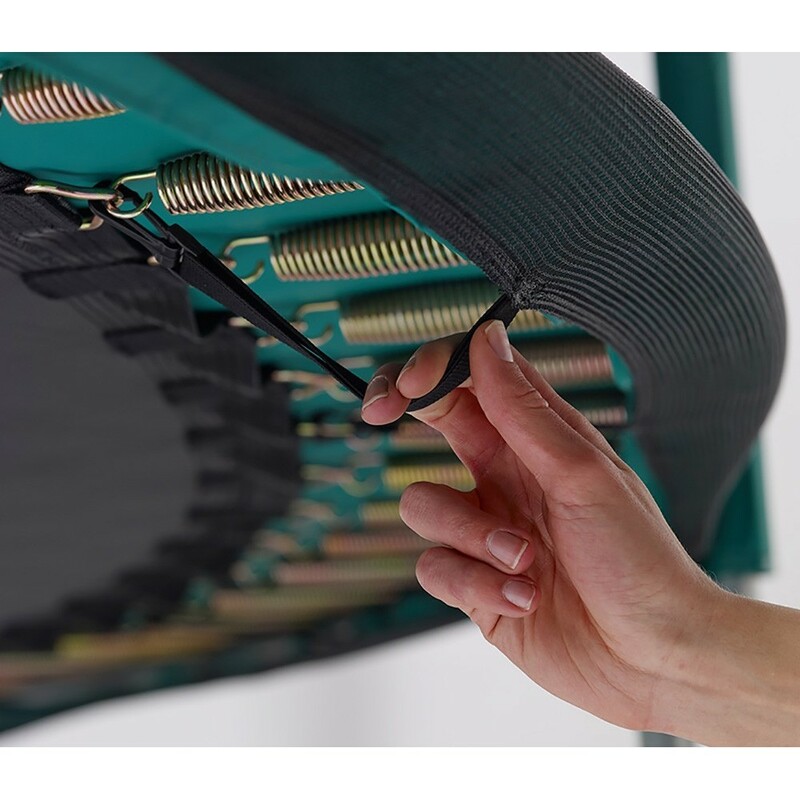 It has 48, 180 mm springs also rust-resistant. 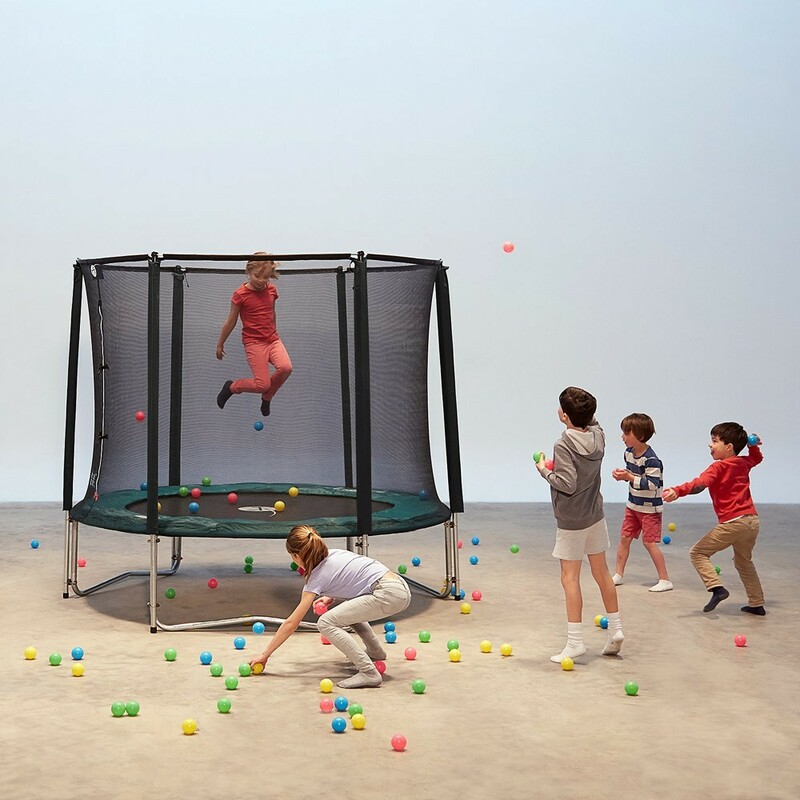 - The enclosure is held with galvanised steel net posts that stand directly on the ground. 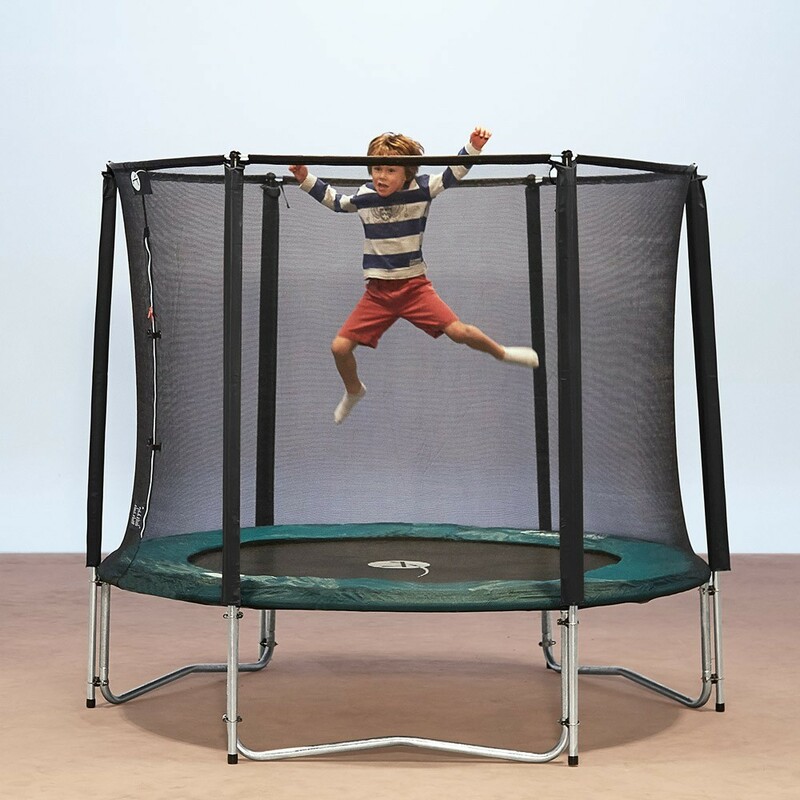 Entrance to the trampoline is made safe and easy thanks to a coloured zip and snap hooks. 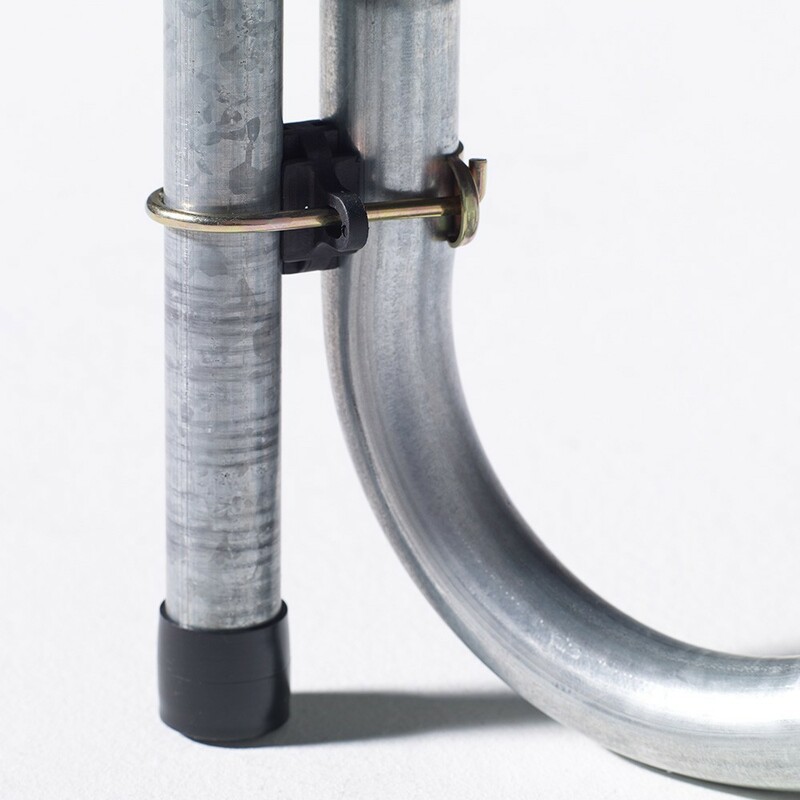 It is attached at the top of the net posts thanks to fibreglass rods that guarantee perfect tension. 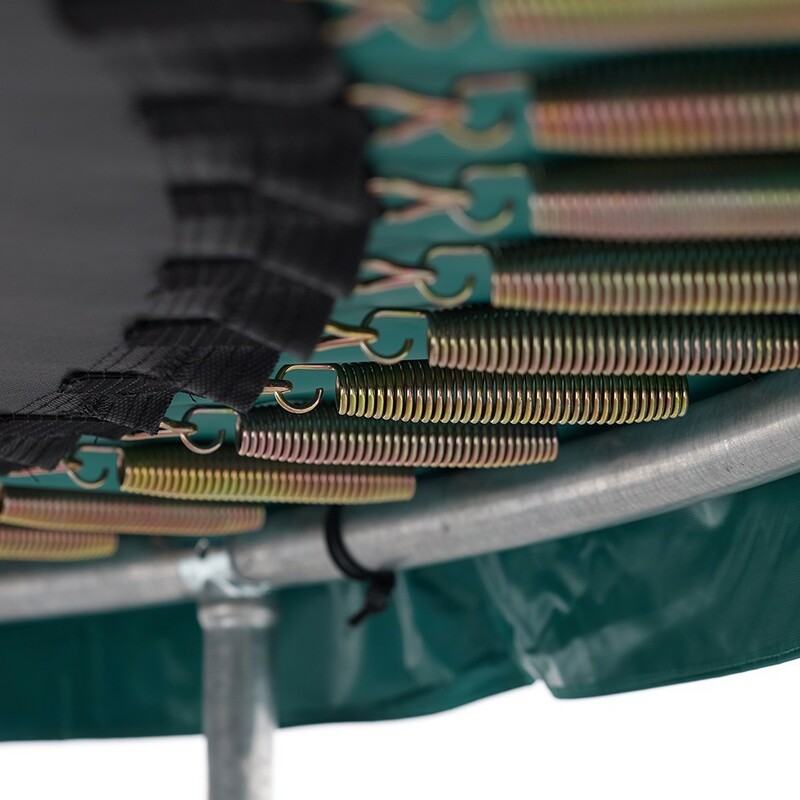 - The green frame pad covers the whole spring area. It is made with mono-block foam and UV-light protected PVC. 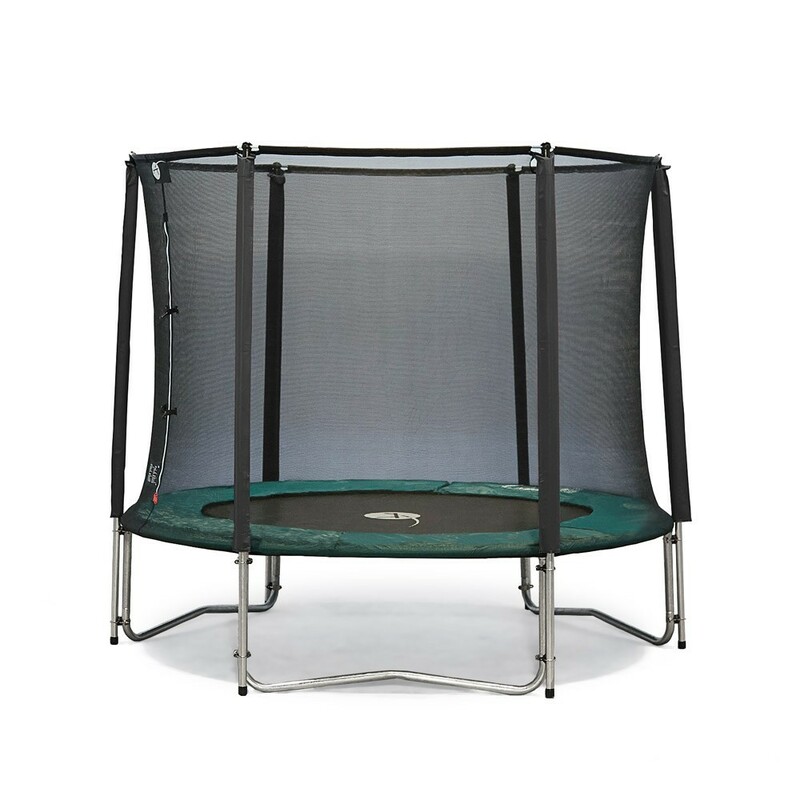 - The trampoline ladder is quick and easy to install and remove. 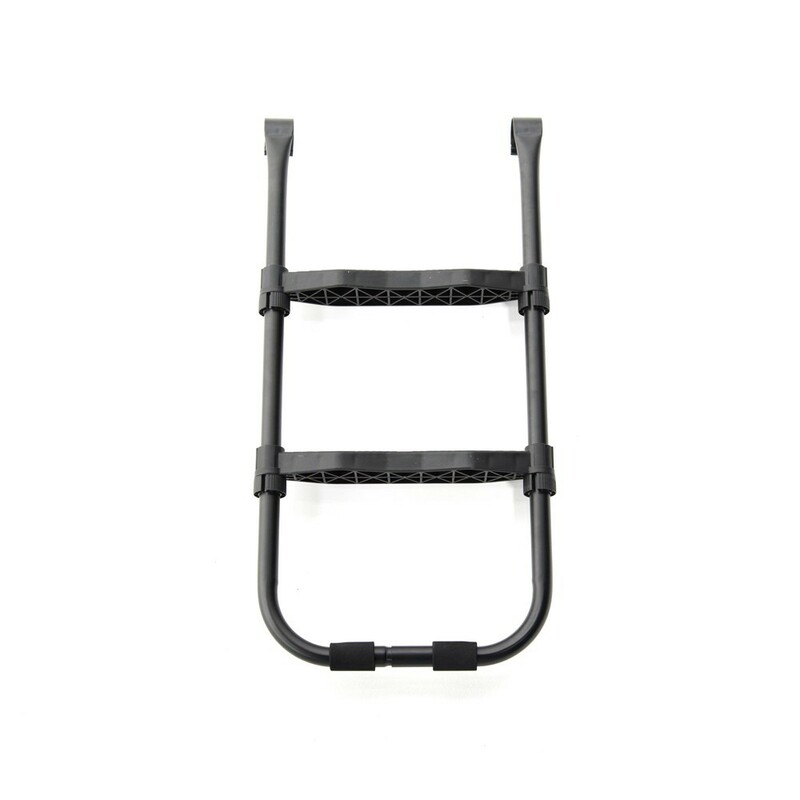 It is made with 2 anti-slip steps. 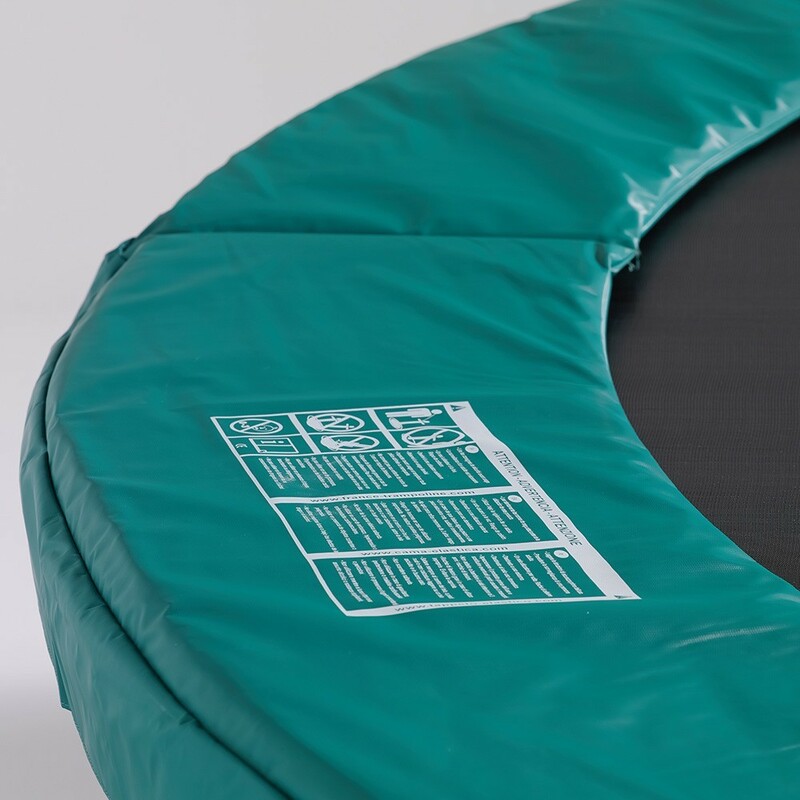 - The premium cover will protect your trampoline from bad weather but also UV-light. 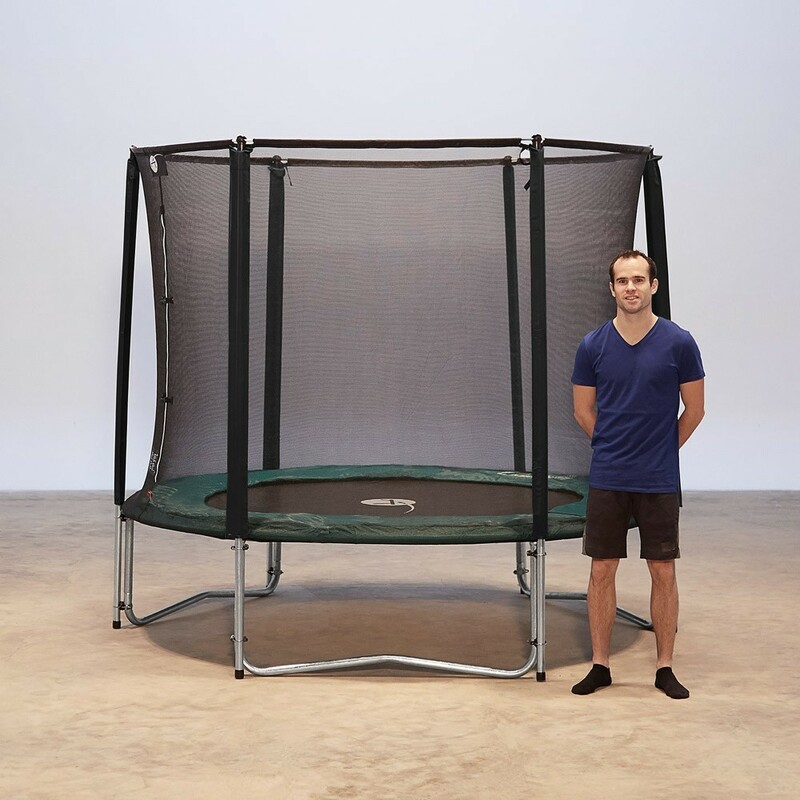 1 evacuation grid stops water for pooling in the middle of the trampoline. 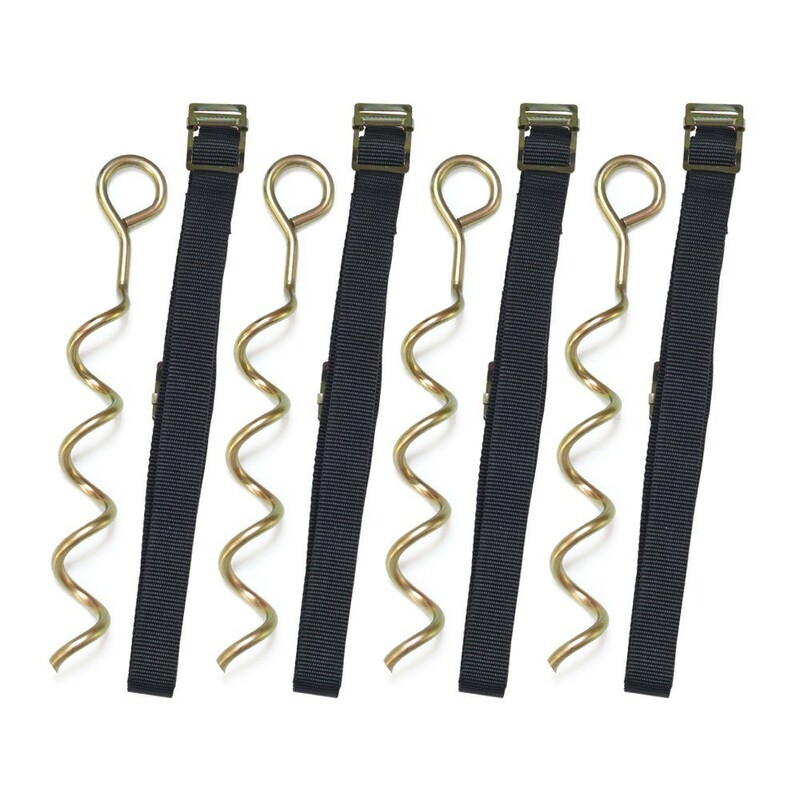 - The anchor kit, will be necessary for those living in windy areas.